If there's one thing I can't resist, it's homeware. I step foot into any shop and the home furnishings take over! I love picking out bits and pieces that I love, I can't wait to move out into my own home and go crazy with amazing furniture and other homeware! Recently I've noticed a lot of retro style furniture coming back into fashion, right now one of my favourite ways to procrastinate is to browse websites and look for inspiration! The first place I've been browsing is Zurleys Online Furniture Store. 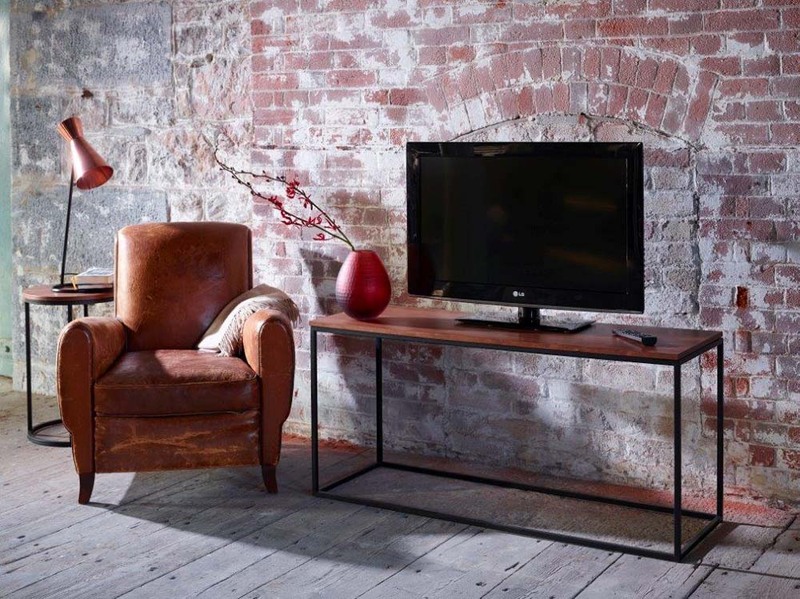 Zurleys home furnishings offers a wide range of affordable furniture as well as an extensive range of homeware items. Alongside the retro range they also feature other ranges including vintage, mirrored, modern and more, which makes browsing so much easier if you know what kind of style of furnishings you want. I absolutely love homeware that has character, I can't stand boring run of the mill stuff! 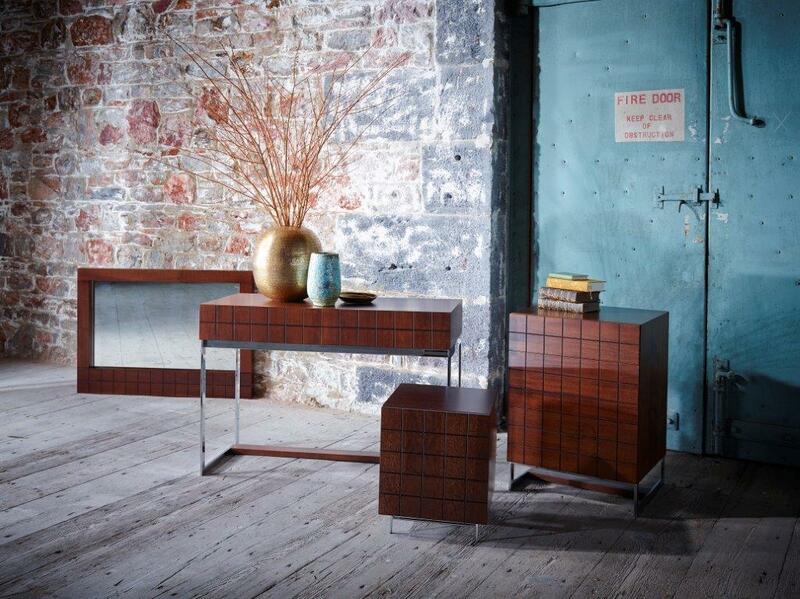 Some bits from Zurleys I particularly love are the Zurleys Metal 9 Colour Artisan Cabinet on the top left, the Zurleys Idun Coffee Table on the middle bottom and the Zurleys New York Loft Nest of Tables on the bottom left. I think all of these pieces would fit in well in any room, especially if you're looking for a pop of colour. I've also been browsing in John Lewis, they always have gorgeous furniture, be it a bit expensive, so if your budget can stretch a little further I've picked out a couple of retro style pieces which I think are fab! Firstly the Vitra Eames RAR Rocking Chair on the top right and the House by John Lewis Casper Sideboard. Finally you can't not look at Ikea when you're looking at furniture, it's like the big Swedish daddy of homeware. So I picked out the Stockholm Glass Door Cabinet in Yellow on the bottom right. Again great for a pop of colour, love the retro feel of it. 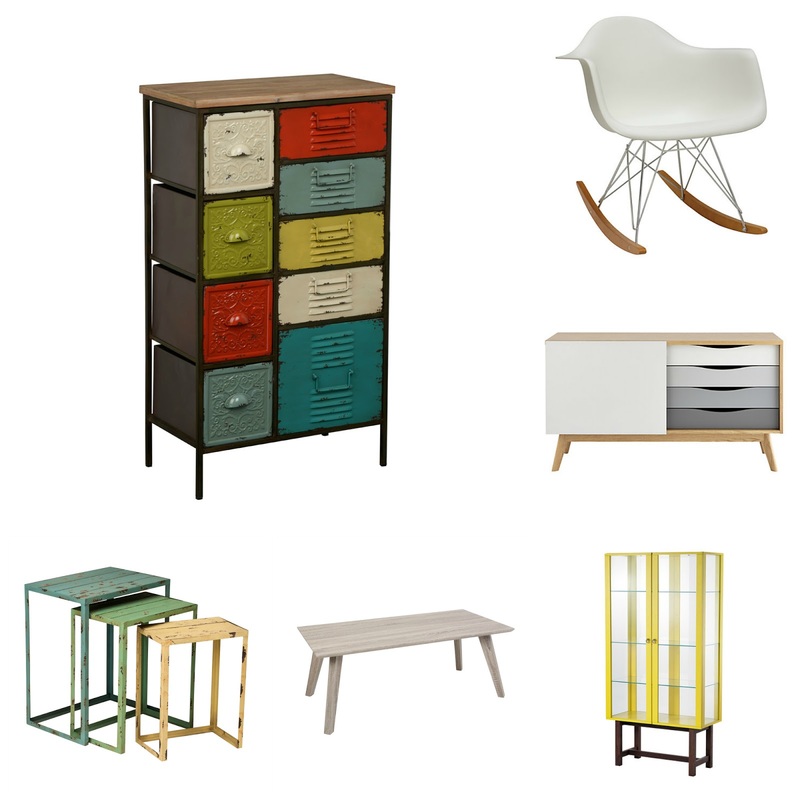 I love anything quirky so retro style furniture is right up my street! Retro furniture offers character bursting furniture products that look great in your home, especially if you are looking to add that unique retro style. Retro furniture is coming back in a big way I reckon, I've seen so many gorgeous interiors with the typical geometric shapes and bright colours! Are there any retro furniture pieces you love?